Safe Relocations & Removals - Abate Safe Co.
Abate Safe Co are experts in relocating safes from one location to another. We have specialised safe moving equipment and crane fitted trucks to relocate and remove all types of safes and security cabinets. We abide by strict OH&S procedures for all site requirements. 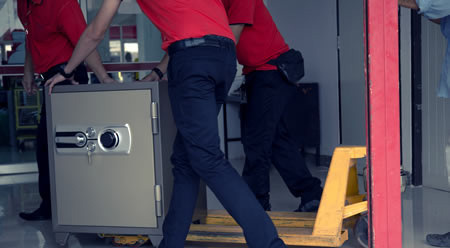 We have the expertise to remove a safe that is fixed to a site location. As per our clients requests we can relocate and re-install to a new location. In conjunction with the relocation our safe technicians can provide all servicing, maintenance and repairs. We also recondition and refurbish new and old safes.